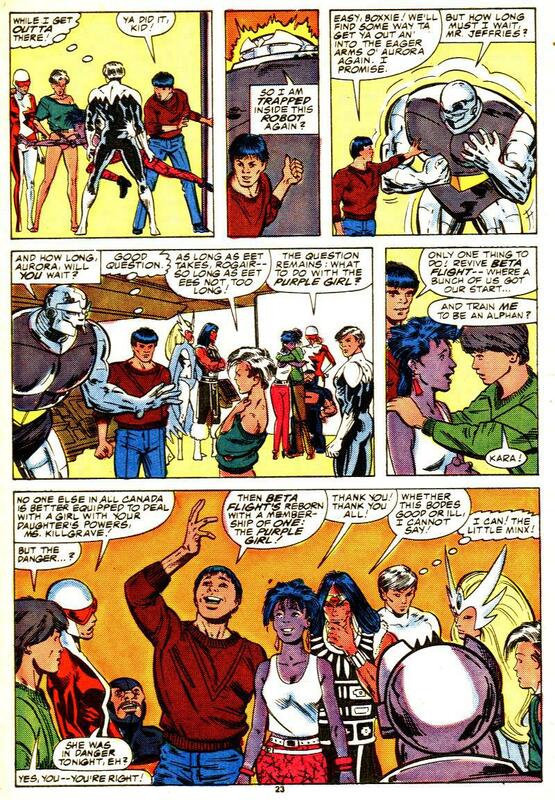 After trying to talk to Northstar, Kara realizes she can use her powers on him like her father did and decides to romance him. 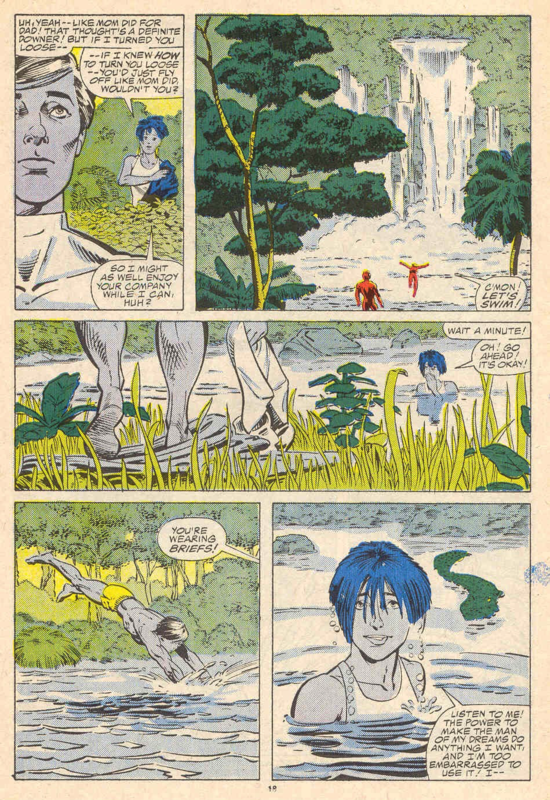 He takes her to some place 'exotic'. A nearby alligator attacks her, and Northstar rescues her. In the process, she loses her control over him. 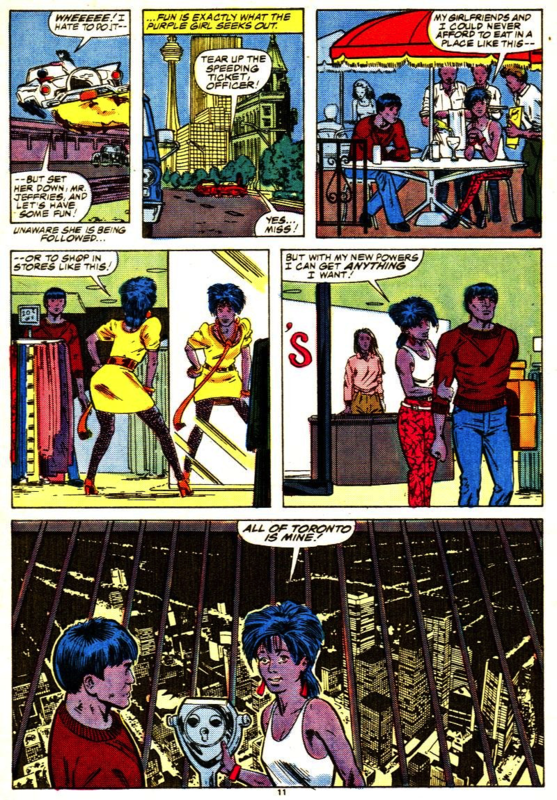 She escapes, using Madison to take her away. 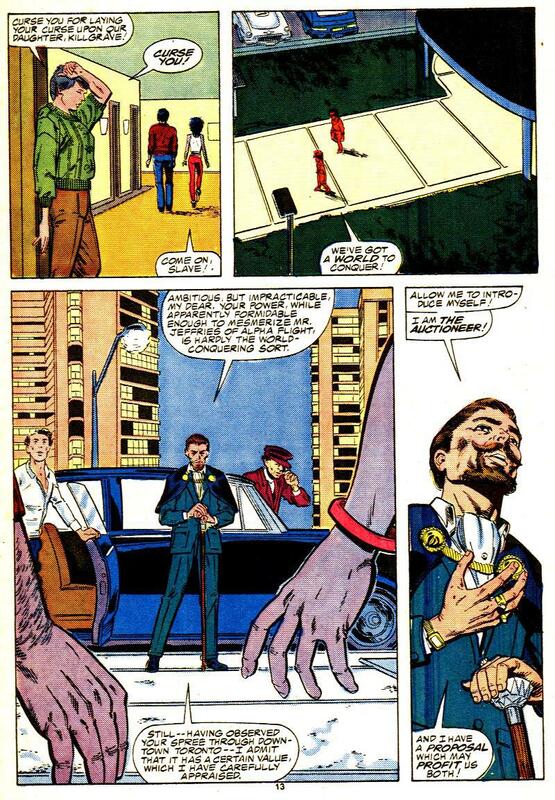 The Auctioneer kidnaps her, planning on using her powers for his own end. 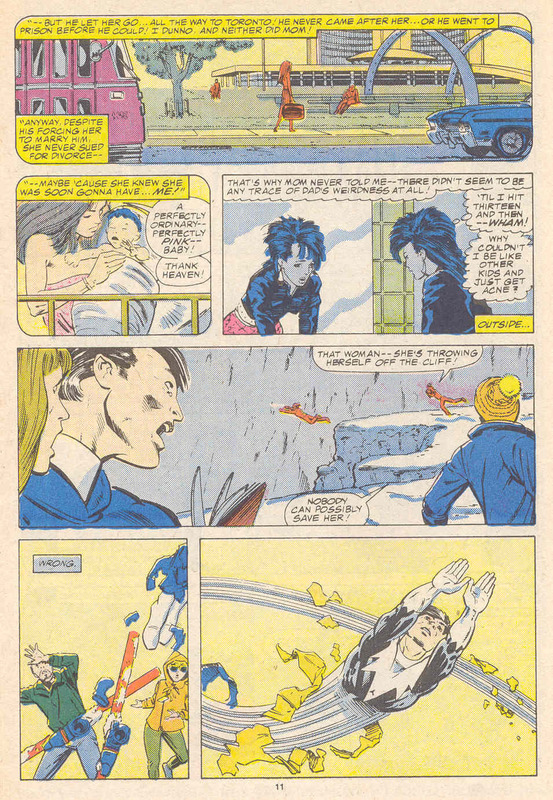 Van Lente already turned her into a villain in his Alpha Flight series. Probably for the sin of not being an original member of the team. 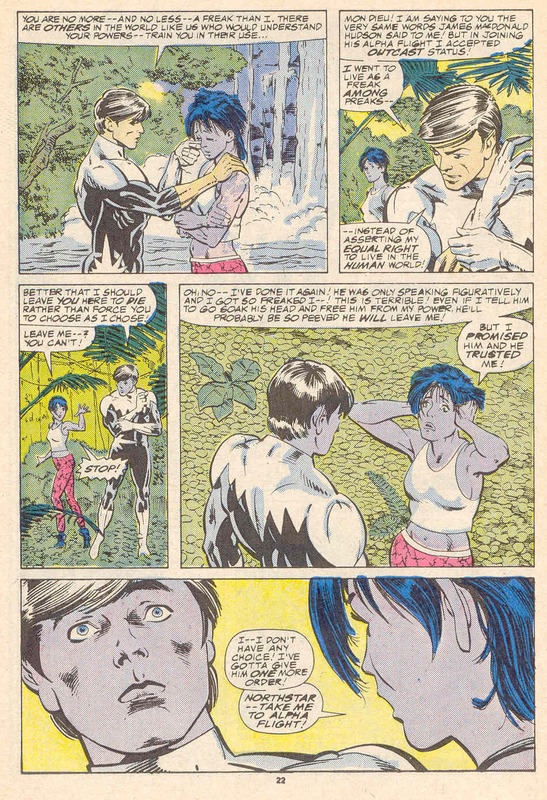 I had thought she was being mind controlled into that villainy (there was a lot of mind control going on in that run)? At least, that's how I read it at the time, though it's been since it came out. 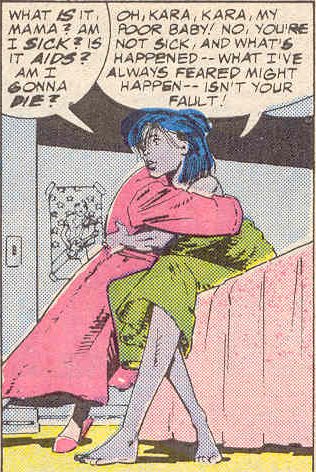 There’s a weird issue after he ‘died’ where he comes back for her as a zombie. 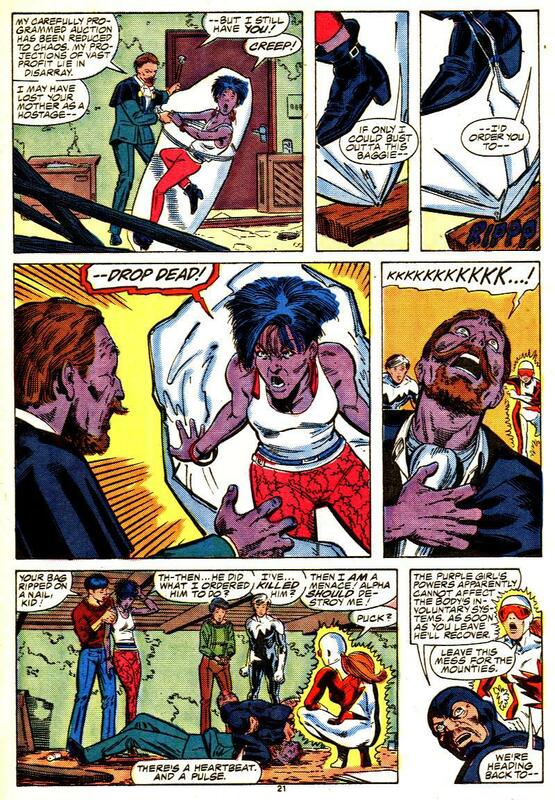 I think it was retconned that he only thought he was a zombie because of Dreamqueen or it was a vision of hers? Idk. 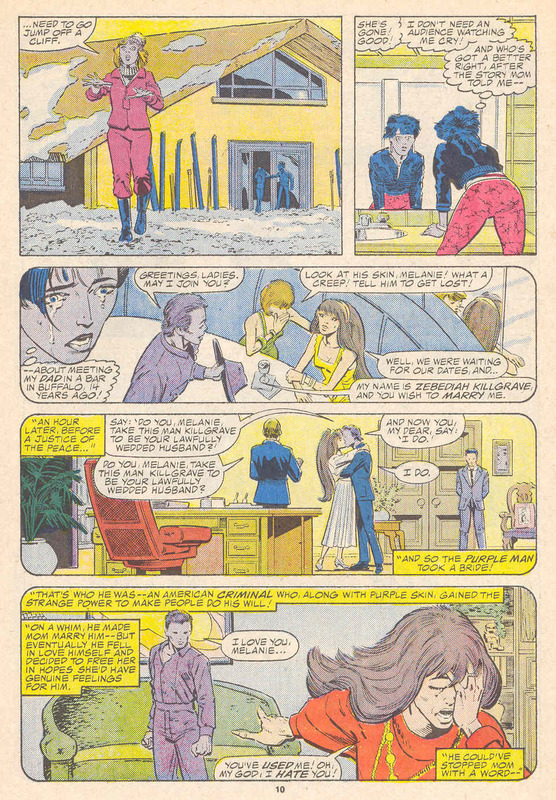 Later when he returned in X-Man he tried to use Nate Grey to achieve world power and get back with Melanie and Kara, he was carrying around a photo of them. 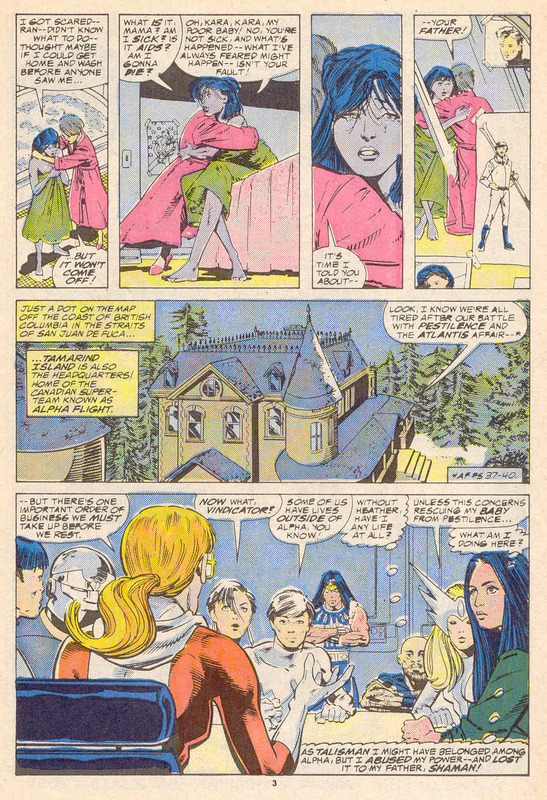 Kara sort-of resurrected her father in ALPHA FLIGHT #62, wondering if he could possibly love her and her mother. If you (rightfully) hate your dad and your skin color, would you really go by "Purple Girl"? IIRC, she changed it to "Persuasion." She did, though given her powers are compulsion, not perusuasion, I always thought it a misnomer. 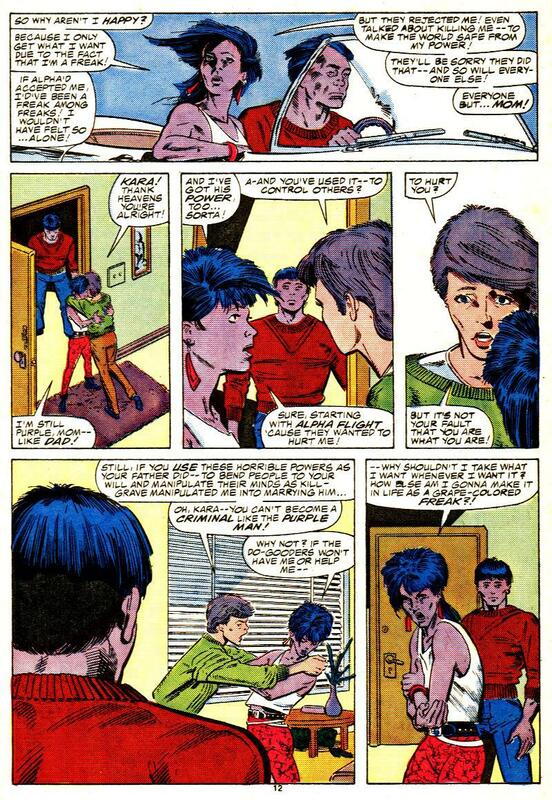 Is Northstar's "cold" the beginnings of the abandonded "Northstar Gets AIDS" plotline, I wonder? Alas, yes. 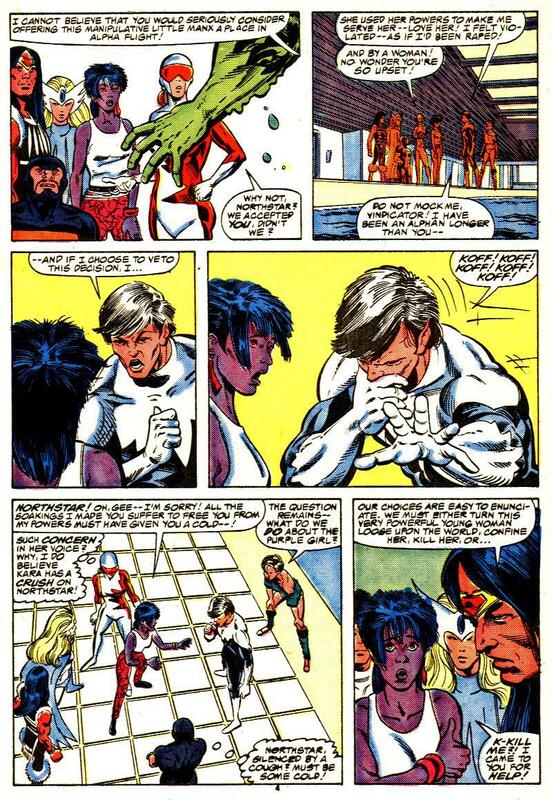 That abandoned plotline became "Northstar and Aurora's mummy was an Asgardian elf and he's suffering from all the pollution in an environment he's not suited for" in Alpha Flight 50. 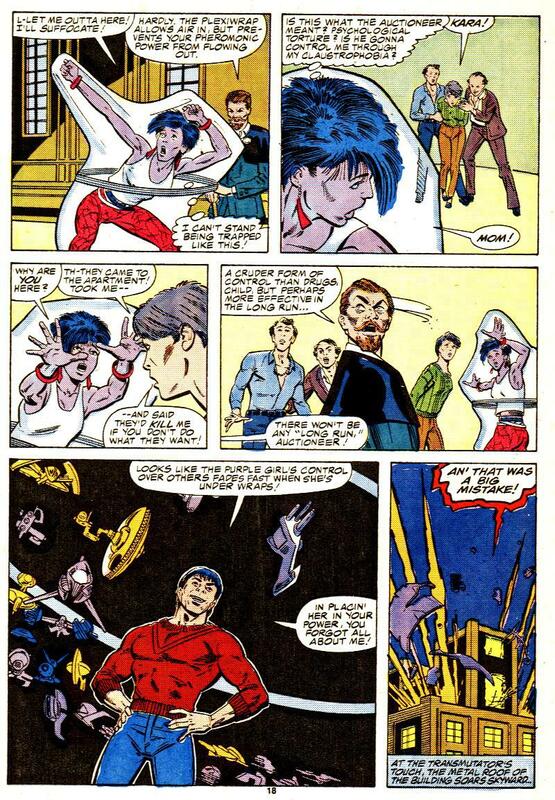 She was a good character, especially since they could explore some of the issues concerning mind control heroes. "I feel.... as if I've been raped!" "And by a woman! No wonder you're so upset!"